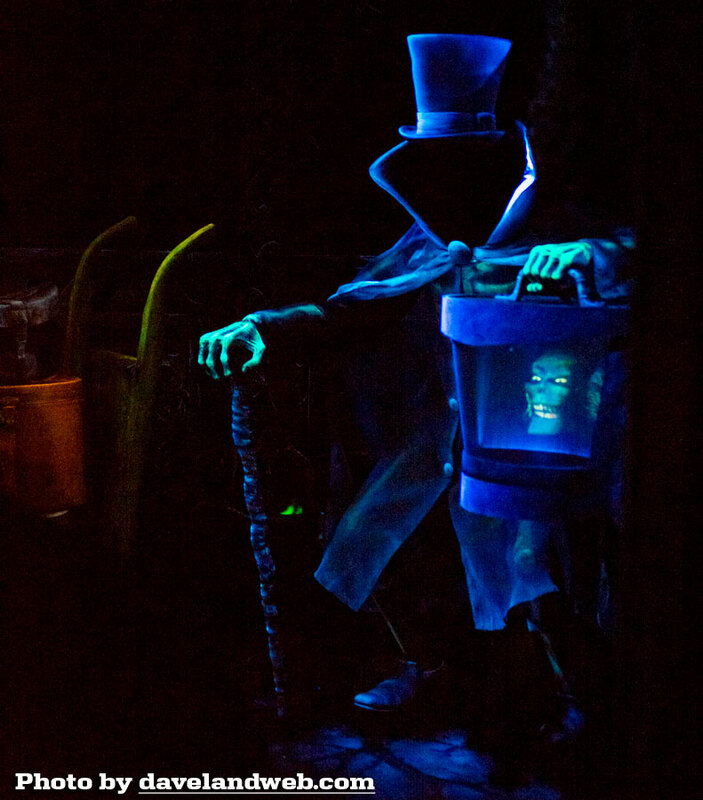 Over 45 years after its short stay and removal, the Hatbox Ghost has made its return to Disneyland's Haunted Mansion to rejoin the other spirited inhabitants. 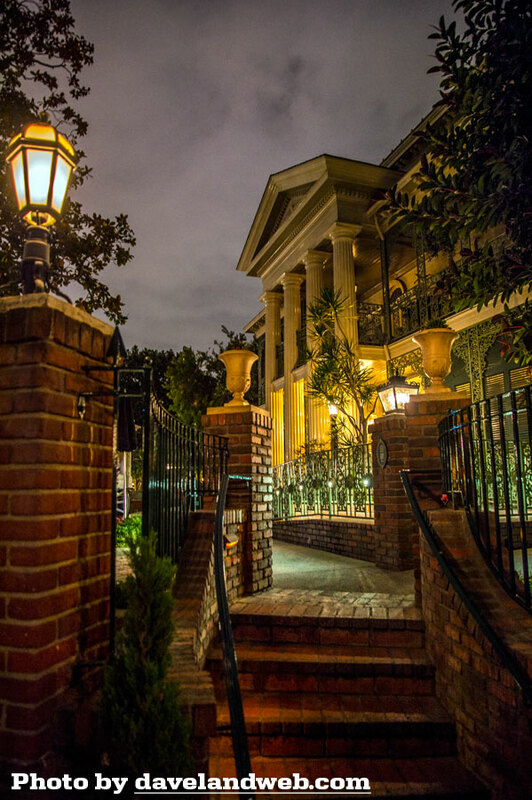 The Rumor Mill said that there might be a soft opening of the Mansion on May 8, giving diehard fans a chance to see "Hattie" before the masses. 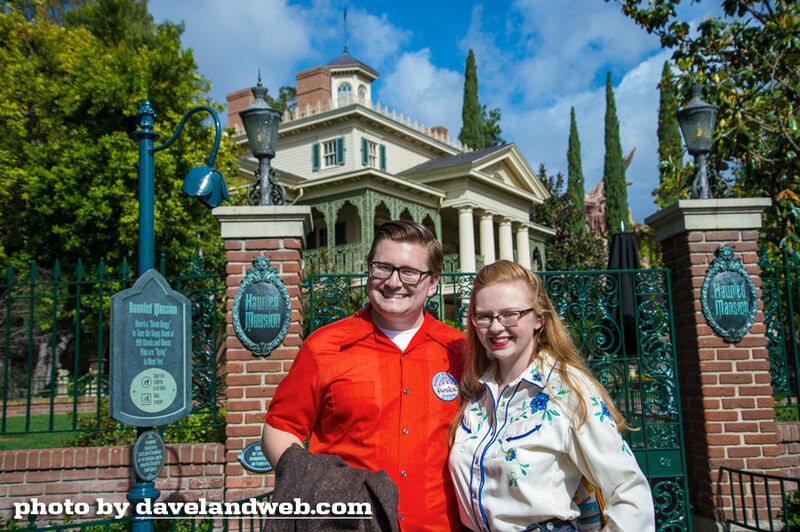 On the positive side, I had the pleasure of meeting Peter and Atomic Redhead at the gate; sadly, the sign stated that the Mansion was not open. Attempting to squeeze out a little lemonade, I took a few Mansion shots sans guests through the fence. Throughout the day, I continued to check back, hoping that the situation would change. All I got was a little more lemonade. and another. 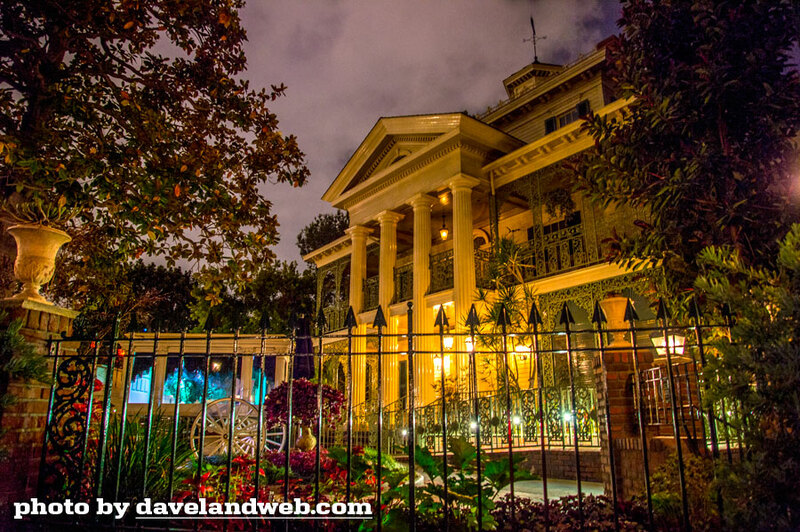 While taking shots from this angle, I noticed some cast members entering the Mansion through the exit area. I got excited thinking maybe…but alas, they were entering for a cast member only preview. Regular mortals were not invited. 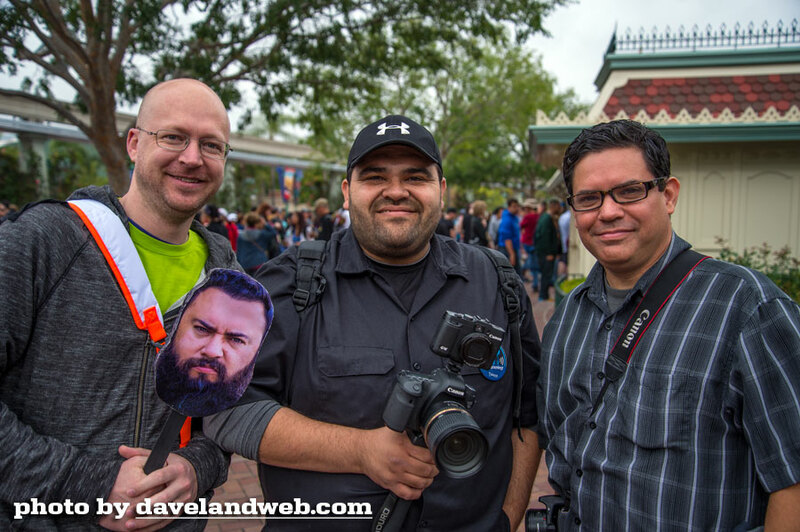 The next day brought new hope, and I was able to meet some fellow Mansion enthusiasts, including Gavin of gavinottesonart (holding Javier's head), Hayzen from Podketeers, and the legendary Jeff Baham of doombuggies.com. Finally, the rope was dropped and a large number of peeps walked very quickly towards the Mansion gates. 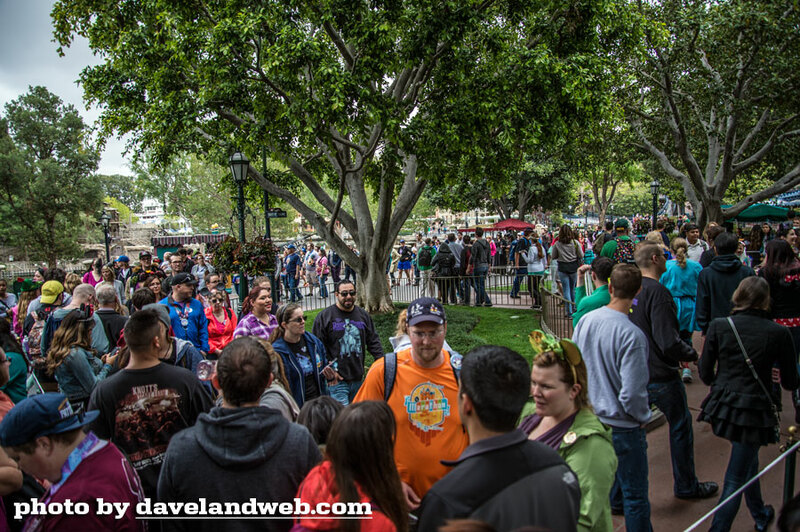 The line curved around to New Orleans Square. And then it was time to enter! 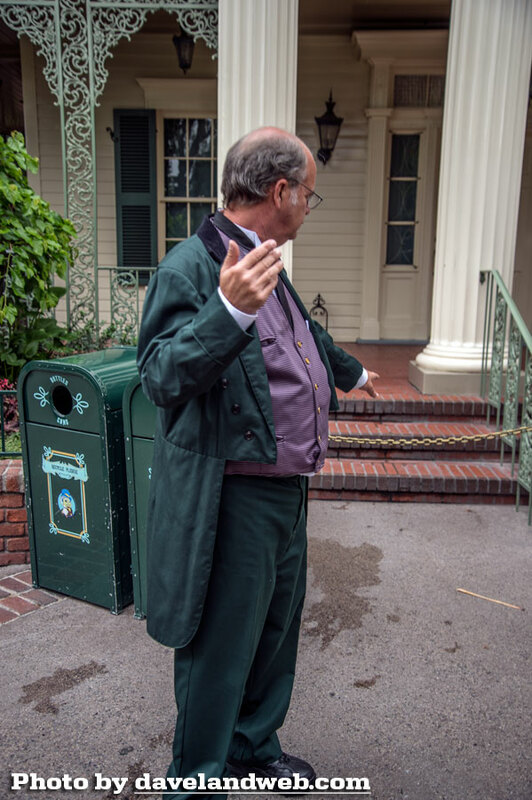 One of the cast members motioning us into the Mansion. It seemed like an eternity before hopping onto my doombuggy in the line queue. 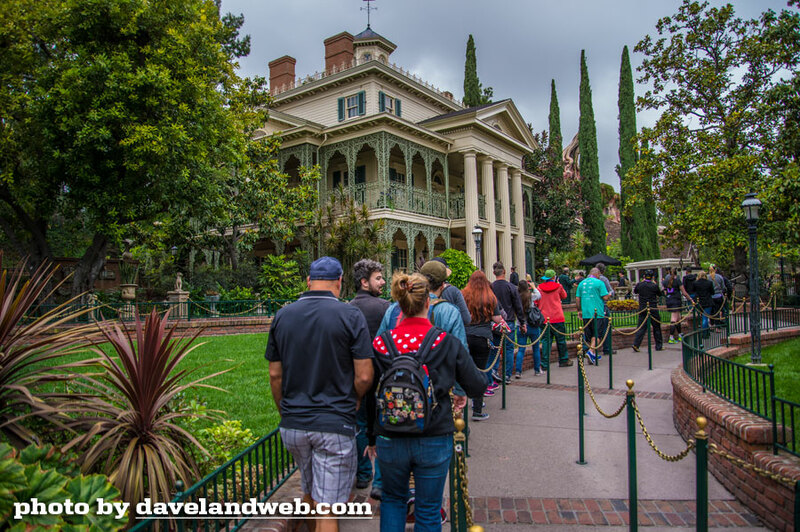 The anticipation built until I approached the end of the attic and saw…THE HATBOX GHOST! The effect worked like a charm, and the motion of the figure was fluid. 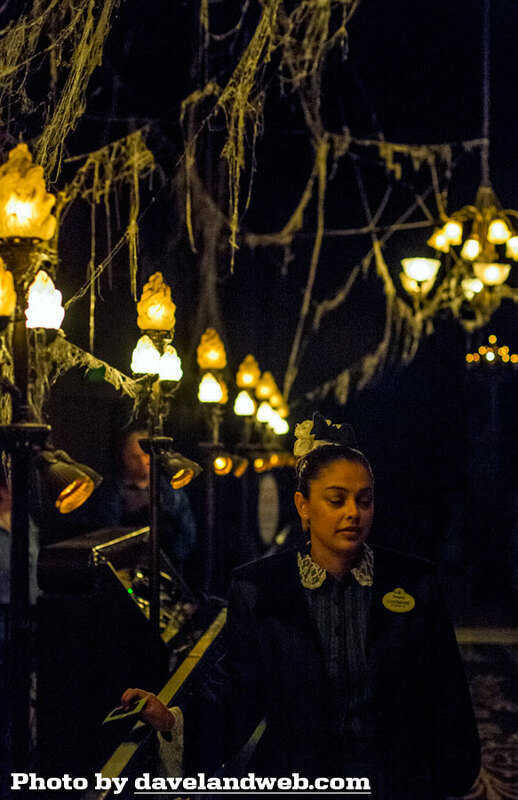 What I like best about the Hatbox Ghost is that he fits into the original look and feel of the Mansion. He doesn't stick out like the proverbial sore thumb, unlike his female counterpart across the way. If you haven't seen him yet, get yourself over to the Mansion. Now. 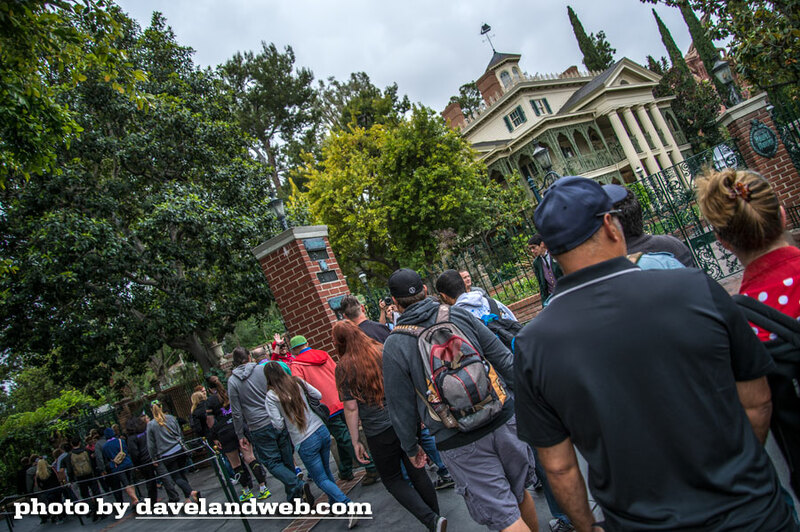 For more Hatbox Ghost photos visit my main website. 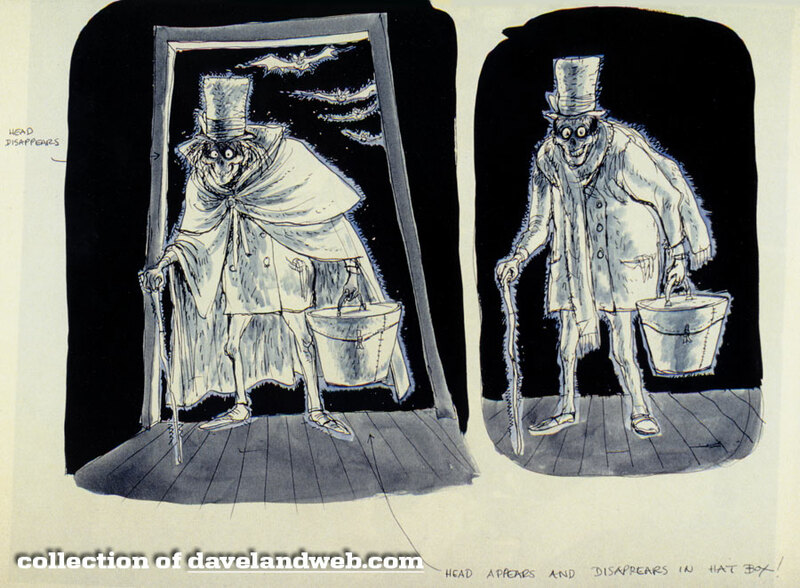 For me, this kind of removes the mystique and takes away the legendary status from the Hatbox Ghost. Now it will not have that something extra special about it. Sometimes I think some things are best not done. Call me cynical today. 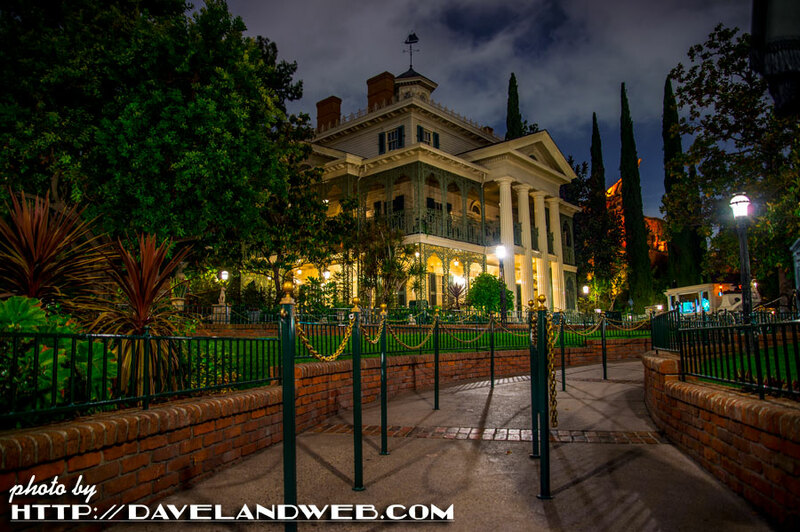 Take away the Court of Angels and give the fans a Hatbox Ghost. Not an even trade in my book. Meanwhile Walt's original kingdom hasn't had an original brand new "E" ticket in 20 years now. On another note, you did a beautiful job photographing it. And I love images 5 and 6. Thanks, Dave. Having experienced it in person, I'd rather lose the mystique and be able to experience what a great job they did in returning the HBG to the Mansion. Originally, I was in agreement with K. However, I've since changed my mind. Its good to see a little well done retro enhancement being done. I say "Long live (die?) Hatty! Dave, thank you for making the effort to get these pics on opening day. He looks pretty outstanding! Thank you, Dave! Well Dave, I guess I'll be eating crow. I just watched several videos on Youtube and it does look pretty amazing. It definitely surpassed what I thought it would be. Great pictures Dave!!! 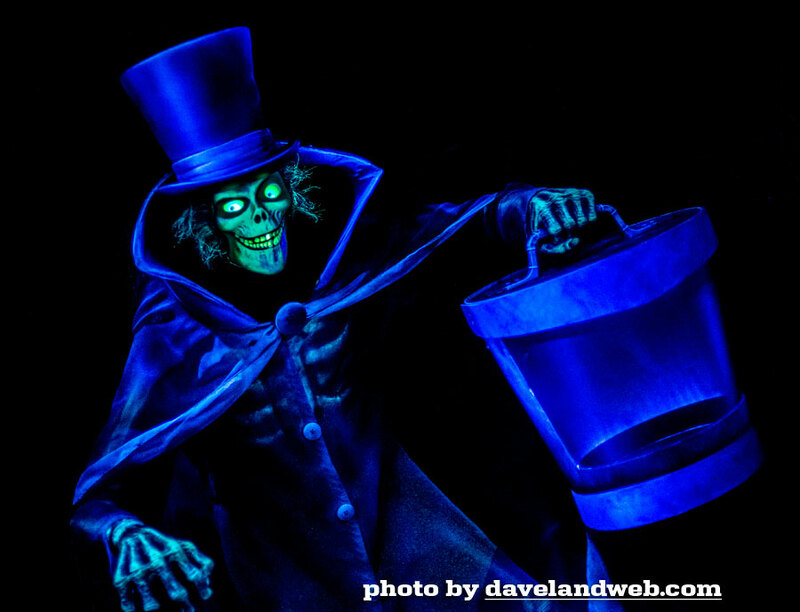 Thanks so much for those of us that won't be able to see the new Hatbox Ghost anytime soon. Those are some mighty fine snapshots, my friend. Not an easy target, either. I'm happy with the new HBG. My first choice would still have been to leave him a mystery, a legend, and yeah, I've got a few quibbles with this guy, but overall they did an amazing job. Thumbs up. Hey Joel - Great to hear from you—and thanks again for the great margaritas! I'm so glad to hear that you liked the final result. I really do trust your judgement, and look forward to seeing Hatty in person one day. Yes, excellent photography Dave...as always! 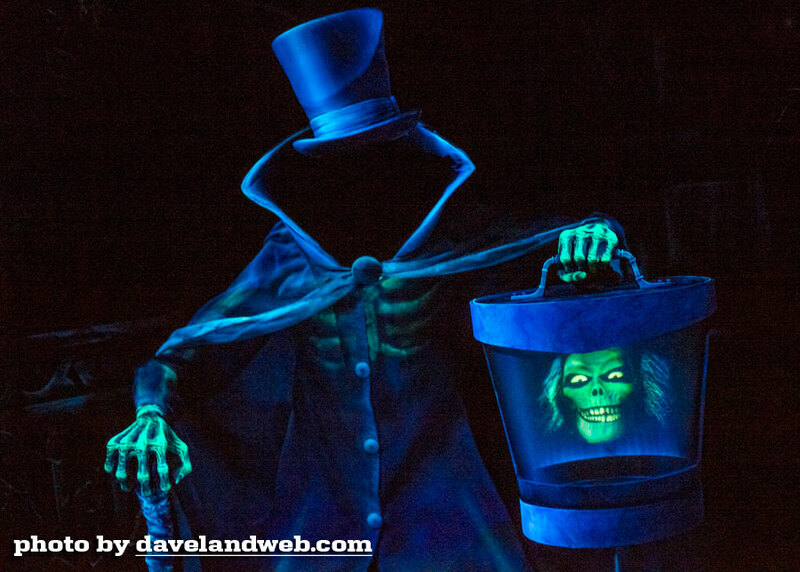 I sooooo wish that they had just gotten rid of the horrendous "new" bride and replaced her with the new Hatbox Ghost. 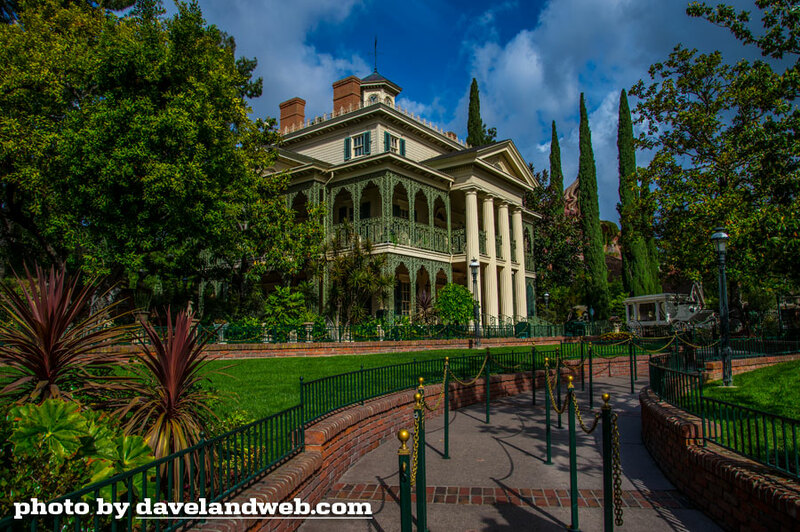 An even better scenario (in my opinion) would have been returning one of the earlier versions of the bride back to the right side of the attic and placing the Hatbox Ghost on the left side where he originally stood.